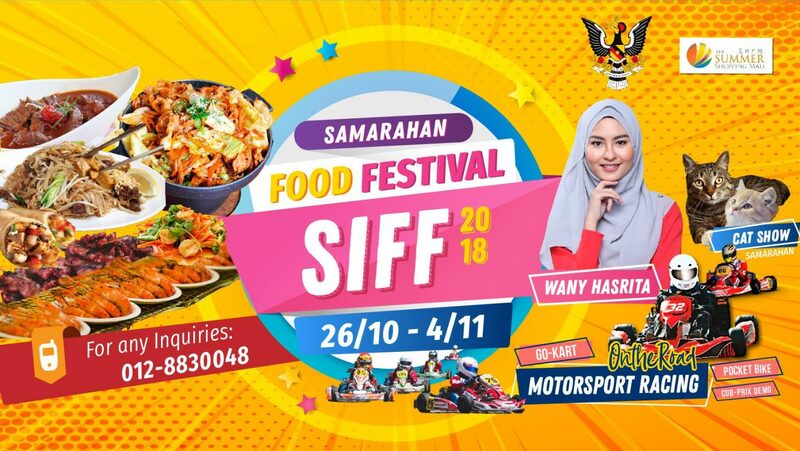 SAMARAHAN INTERNATIONAL FOOD FESTIVAL with varieties of foods “you name it we have it” from local delicacies, street foods to popular dishes from various ethics, races, traditions and culture. International cuisine from neighbour countries that you have been carving for. You also can find famous local fruits and fresh vegetables, agriculture products sorely “MADE IN SAMARAHAN” from agriculture production technology. While indulge with delicious foods, we presents you full of programs to ensure you have a wonderful night to remember in Samarahan.